Want to understand more of Jesus' message? To others though, Brian is a fresh voice, a welcome antidote to the staleness, superficiality, and negativity of the religious status quo. A wide array of people from Evangelical, Catholic, and Mainline Protestant backgrounds claim that through his books they have begun to rediscover the faith they'd lost or rejected. And around the world, many readers say that he has helped them find-for the first time in their lives-a faith that makes sense and rings true. For many, he articulates the promise of what is being called "emerging Christianity." Secret Message of Jesus by Brian D. Mclaren was published by Thomas Nelson in April 2007 and is our 9479th best seller. 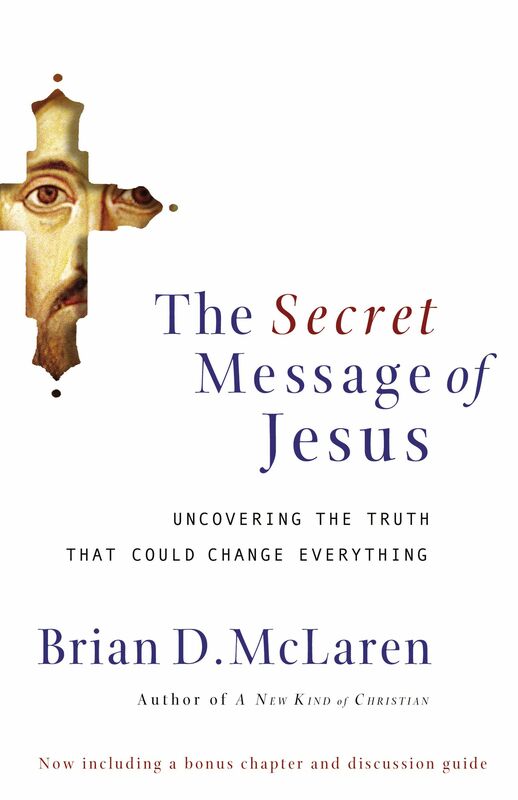 The ISBN for Secret Message of Jesus is 9780849918926. Brian McLaren always writes a very lucid argument. Here is no exception. The message of Jesus had revolutionary consequences in his own day and it is no less powerful today … if only we could just see the significance for the world and the big issues we face. The Gospel is more than a personal faith which leads to prayer; it is a call to action for justice in the coming Kingdom which affects politics, the environment … indeed everything. The ‘kingdom manifesto’ as he calls the Sermon on the Mount is ‘the most concentrated example of the teaching of Jesus’ (p117), but he also explores many other passages to back up his argument that this message has been ‘secret’ to many. Beautifully written, this book has profound implications for the hope of ‘heaven on earth’ as sought by the likes of Martin Luther King and Mother Teresa of Calcutta. It is well worth reading. Got a question? No problem! Just click here to ask us about Secret Message of Jesus.